Here's a card that I made for La using some of her amazing goodies! This is awesome! Love it Heather! such a HAPPY card! Thanks for playing with us at Card Patterns! The bold colors here are just wonderful! 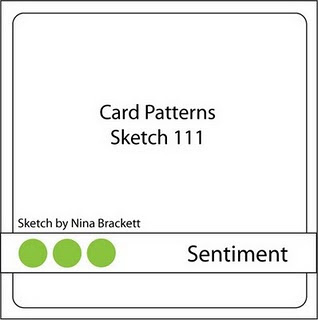 Glad you could play along with us on Card Patterns this week! FUN card! 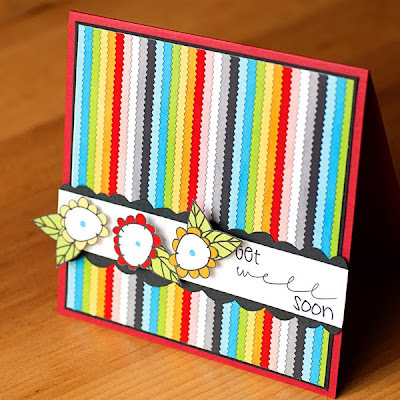 LOVE the bright colors, those funky flowers, and the mixed fonts in the sentiment!! GREAT work! 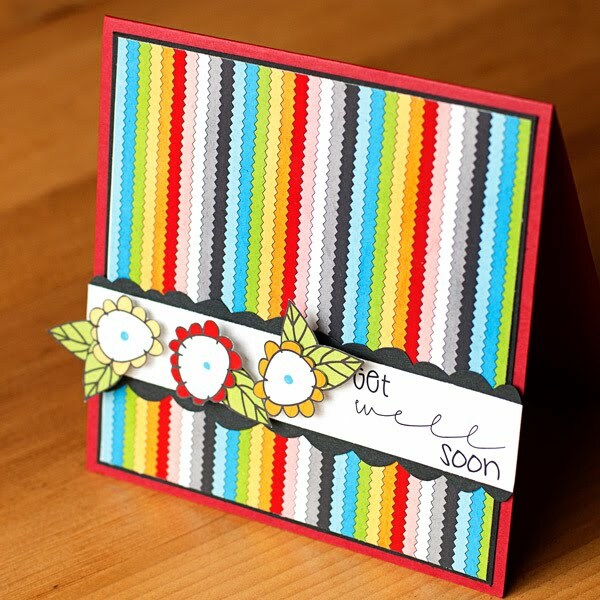 Vibrant and fun card that defintely inspire get well vibes. Fab card!